Cambridge exams are international exams, worldwide recognized as a high-standard qualification (From Level A2 to Level C2 in the Common European Framework of Reference) for the English language. Passing this exam opens doors to international education and provides greater opportunities that require ability to communicate efficiently in an English-speaking environment. A sincere congratulations to all our 354 students from Primary and Secondary levels who took the STARTERS, MOVERS, FLYERS, KEY, PRELIMINARY AND FIRST exam last year to certify their English level. All students successfully demonstrated to be Assertive Communicators and Truth seekers. 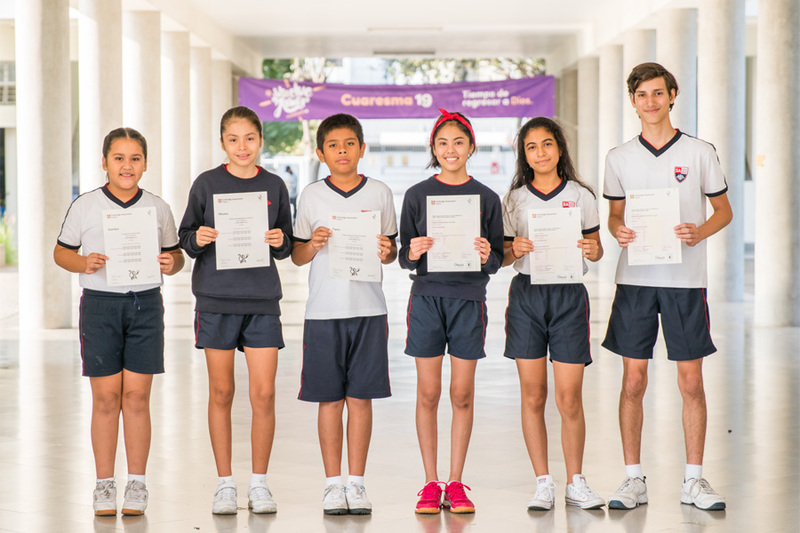 A hearty congratulations to Luciana, Micaela, Gonzalo, Andrea, Tamara and Sebastian for your outstanding results!